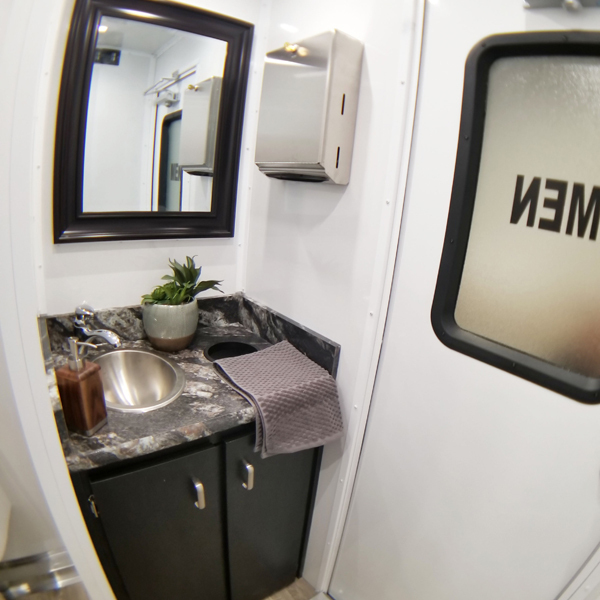 Our Pro Series trailers are our flagship series of luxury portable restrooms for sale that have been designed with the restroom trailer rental company in mind. 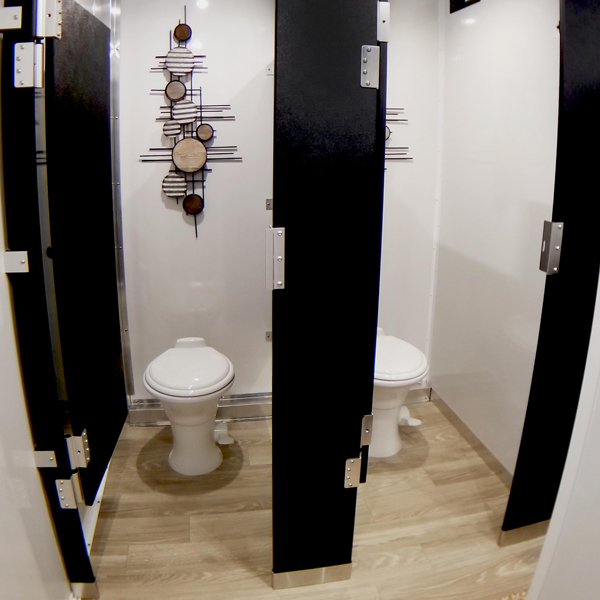 The Pro Series can be used in almost any application. 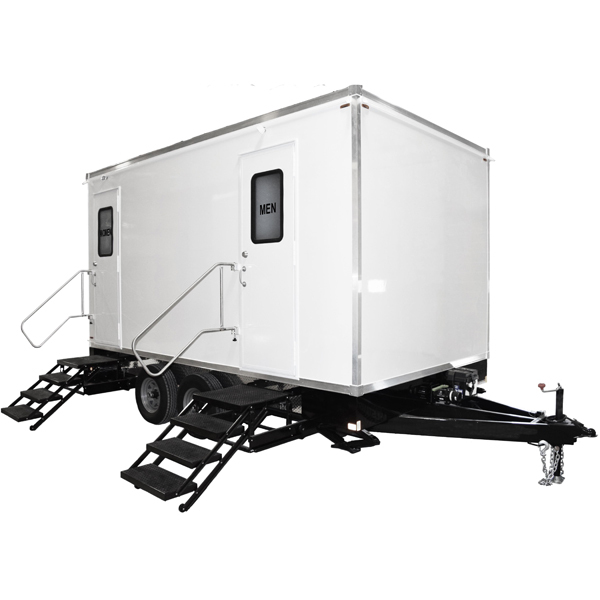 It is elegant enough for wedding use and built rugged enough to handle even the most demanding public events. 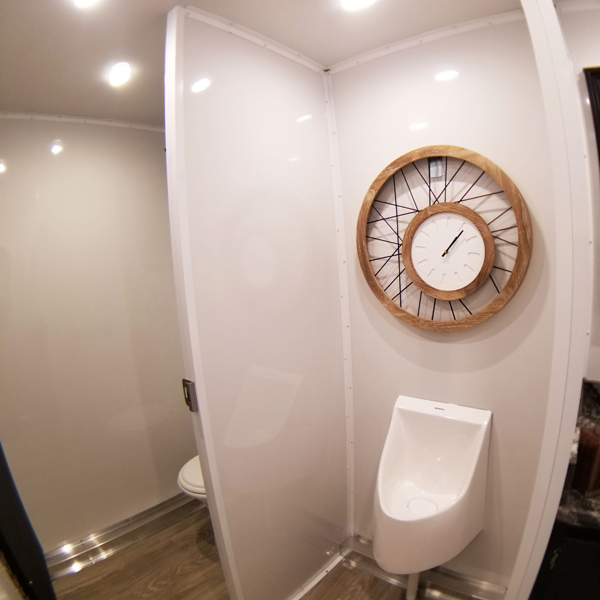 We drew a lot from our extensive background in the restroom trailer rental business when we designed this line. We also made sure that almost all of the parts are compatible with items that can be purchased at a big box hardware store so if a fix is needed in the field, you do not have to wait on a proprietary part from the manufacturer. 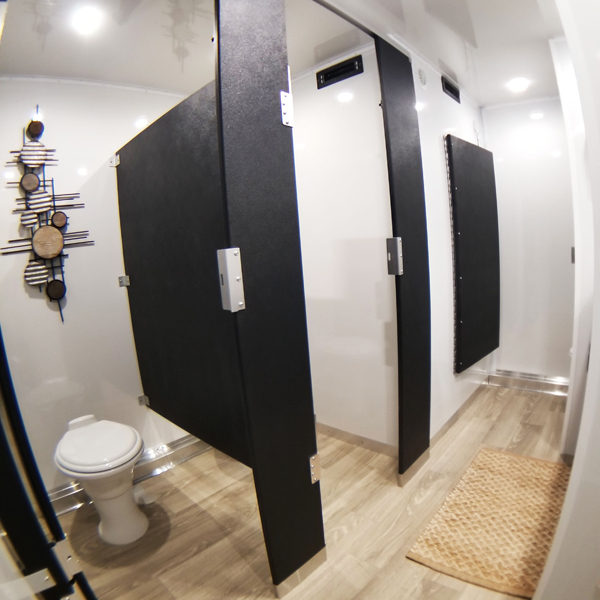 Durability: All of our luxury portable bathrooms for sale feature a steel frame and gel coated fiberglass on the interior and exterior walls, subfloor, ceiling, and roof. Easy to clean: The gel coated fiberglass is a strong slick surface that repels dirt and can easily be cleaned with a rag and household cleaner. Easy to install: Self-leveling slide out stairs set up in seconds and automatically level making it easy to set up on uneven ground or along a curb. Fold out railings are quick and easy to deploy, and the stabilizer jack placement makes them easily accessible. The only tools required to set this trailer up are the jack wrench and a level. 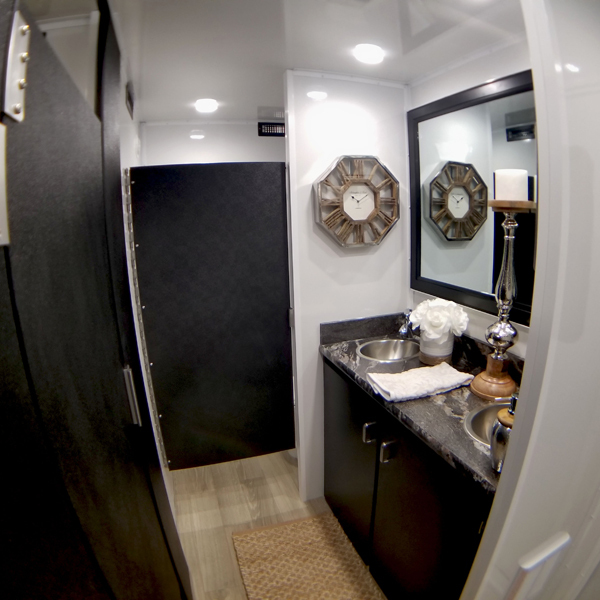 Easy Maintenance: The Pro Series was designed to need little maintenance, but when maintenance is needed you will find that the large mechanical room door allows you to easily access all components of the trailer.